In the style of a manufactory, sedak, the expert for oversize glass, has developed the reputation to develop special solutions with potential until series production is possible. The latest development are insulating glass units with glass spacers. Thus, the German glass manufacturer makes the usually typical joints disappear visually. Instead of the conventional, up to four centimeters wide, black joint out of a plastic spacer and silicone, the new glass spacer is used for two visible sides. The result is a nearly seamless overall view with maximum transparency and the same technical characteristics of the IGU. Until now, the almost jointless appearance of large-scale glazing could only be reached with laminated safety glass. 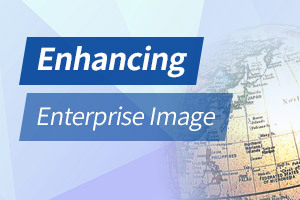 sedak was tinkering a year to create the up-to-date solution that would satisfy its own commitment to quality. Because it is based on an extensive research, although the solution sounds simple. Twenty-five years ago, there were initial tests in the glass industry to build IGUs with spacers out of glass. Few projects were realized which are now in need of rehabilitation. Against this background, sedak started to research with the result that the buildings can now be glazed with IGUs that fulfill not only quality requirements regarding processing and visual appearance but also provide contemporary Ug values. 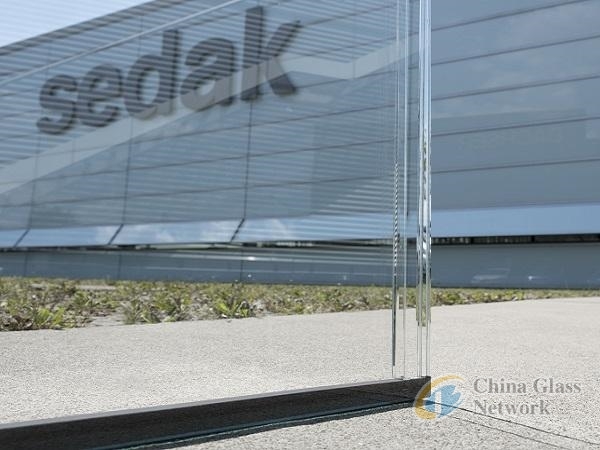 It is a future-proof development for which sedak researched intensely into the right composition and the material properties of the single components. The cavity is hermetically sealed by a special adhesive which keeps the gas in the cavity permanently. Thus, all required insulation values are fulfilled in a long term and the glass-to-glass joint is hardly visible. For the two visible glass edges, the transparent spacer is used. That makes the vertical joint of two glass units disappear visually. For the horizontal joints, which are not visible after the installation into the holding construction, sedak uses a common plastic spacer. It provides a desiccant keeping the cavity dry.